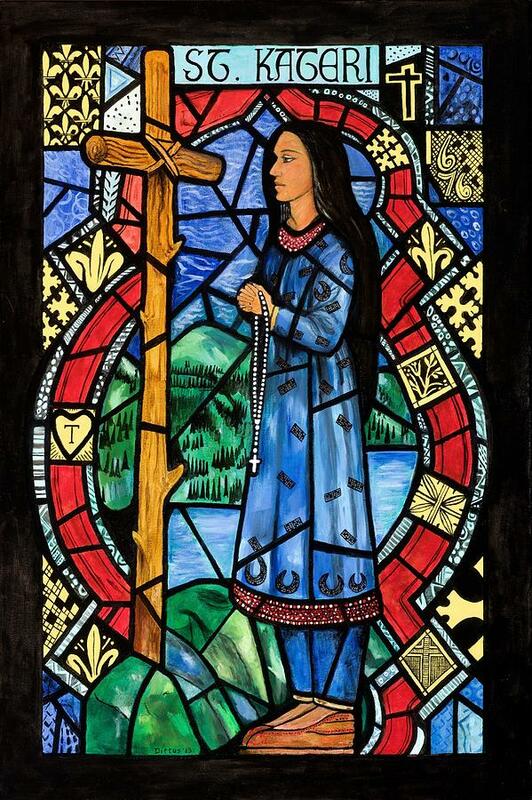 St. Kateri is a painting by Chrissey Dittus which was uploaded on November 9th, 2014. 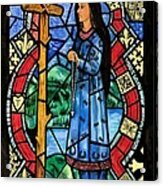 This painting is based on a stained-glass window located in a late-1800's church in Lake George, NY. 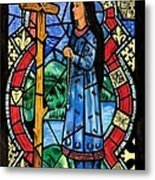 Most of the windows are based on St. Isaac Joques and this one of St. Kateri. Since she became a Saint, I was inspired to do this painting. I would like to thank whoever is buying cards of St. Kateri. Thank you!! I appreciate your comments and it's purchase. Congrats! 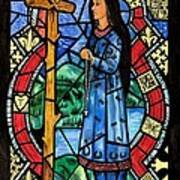 Lovely image of St. Kateri.